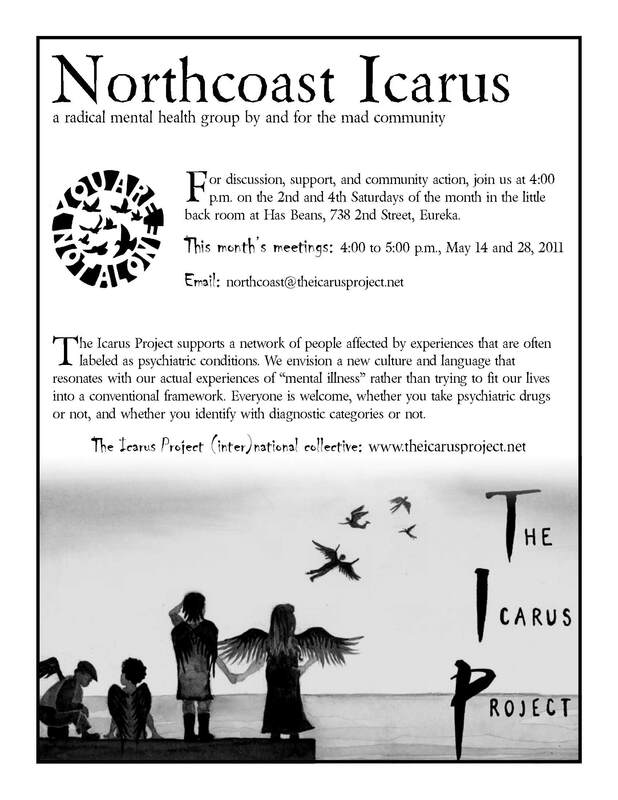 We’ve got another unofficial teeny-tiny Northcoast Icarus newsletter here for you. We’ll be tabling at the HSU Mental Health and Wellness Extravaganza on Wednesday, May 4, from 11:00 to 2:00 on the HSU Quad. We’ll have space to sit down and work on making mad maps, with examples and materials provided. Come hang out with us, and enjoy the rest of the Wellness Extravaganza as well. They’ll be on the 14th and 28th at 4:00 p.m. in the little back room at Has Beans. Come join us for discussion and support, and bring your mad friends. Is there a particular discussion topic you’d like? Please let us know! We have some new fliers now, including quarter-page handbills. Want to help put them up or hand them out? See the attached PDFs, or we’d be happy to give you printed copies. PEOPLE PROJECT Folks in Civil Rights Lawsuit Have Lawyers! And we have a revised lawsuit challenging Arcata’s systematic violation of houseless peoples’ rights! Please send PEOPLE PROJECT writings about your experiences with the Arcata Police Department and/or the Humboldt County Sheriff’s Department with regards to your EXISTING WITHOUT A HOUSE (i.e. 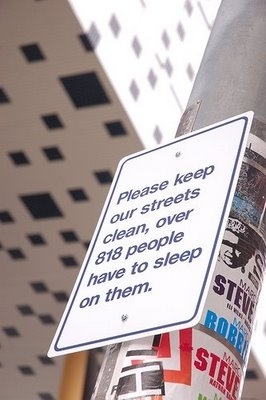 being ticketed for sleeping on public property, being harassed for looking poor, having your gear stolen by police). You can email peopleproject@riseup.net or call (707) 442-7465 to talk. HERE is the new Complaint (fancy word for lawsuit) arising from the Spring 2007 encampment demonstration in Arcata.